KGI Securities analyst Ming-Chi Kuo has claimed in his latest note to investors that Apple will upgrade its 2018 iPhones to 4×4 MIMO technology to offer the fastest LTE speeds yet available in an iPhone, AppleInsider is reporting. The analyst claims that upgraded baseband chips from Apple suppliers Intel and Qualcomm will be responsible for the faster transmission speeds, corroborating a previous report. 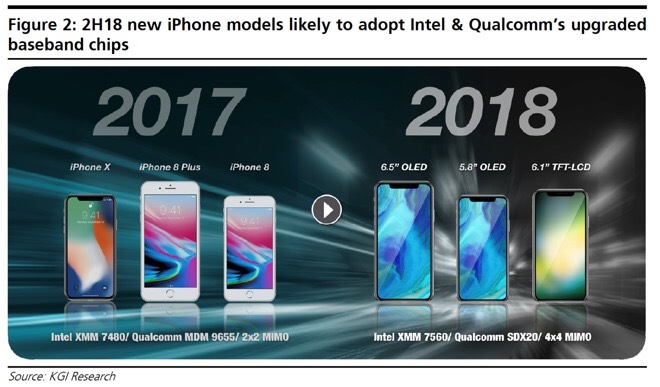 Kuo believes that the next year’s iPhone lineup will feature Intel’s XMM 7560 and Qualcomm’s SDX20 LTE chips, which will offer significantly faster LTE speeds. He further predicts that Intel will take the lion’s share of baseband shipments for late 2018, earning between 70 and 80 percent of orders from Apple. In contrast to current generation iPhones which support LTE plus 3G connections, the analyst says the next-generation iPhones will support LTE plus LTE connections. 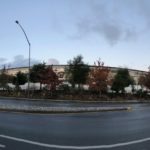 He also believes that Apple eventually wants to “dominate” baseband chip design, building on expertise it has garnered in its own silicon production over the years. “The entry barriers for baseband chip design are much higher than for application processors, but if Apple can successfully dominate the design of baseband chips, production costs will decline and the iPhone will become much more competitive in the market,” he said. Kuo also predicts that 2018’s flagship iPhone will be a 6.5″ iPhone X Plus, that will take the edge-to-edge OLED display of the current iPhone X and apply it to the general physical form factor of existing Plus-sized iPhone models.